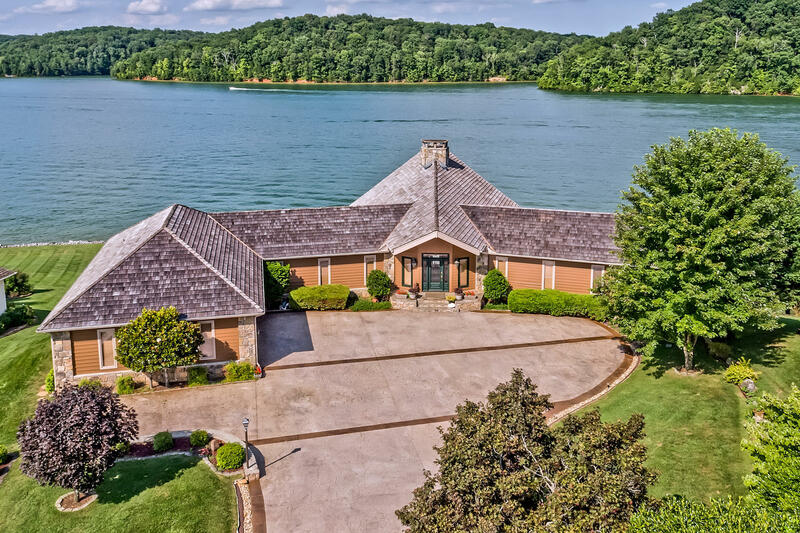 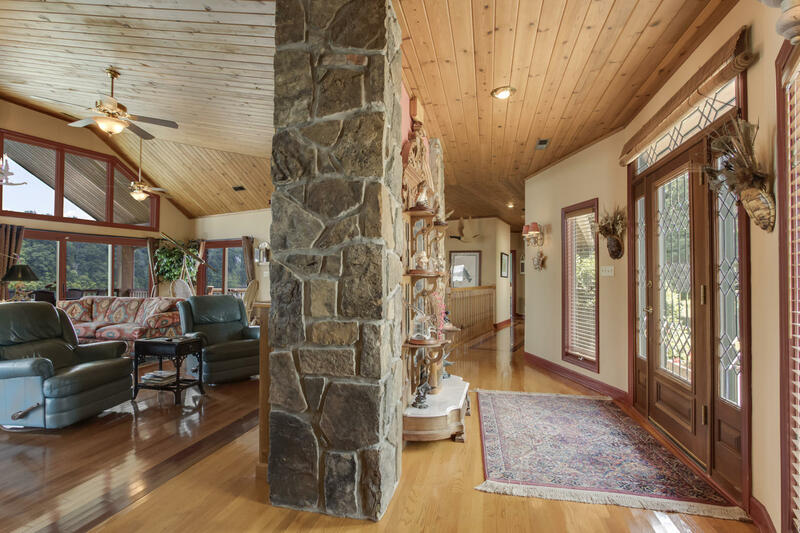 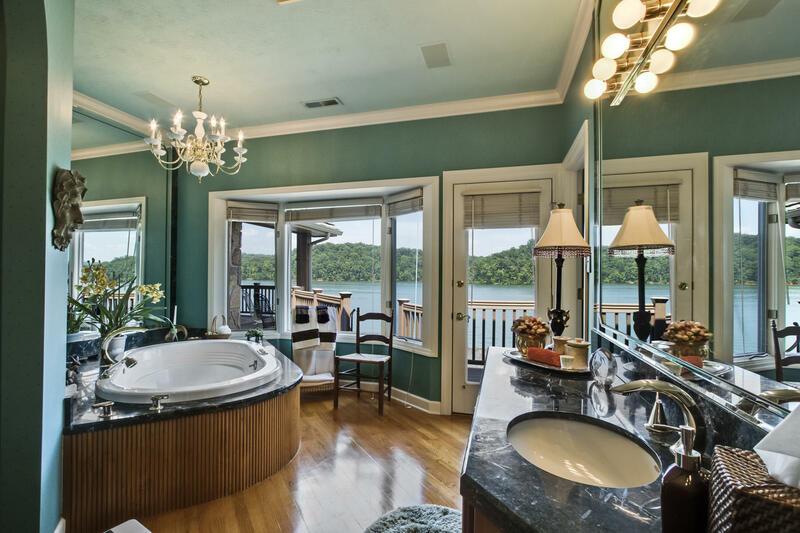 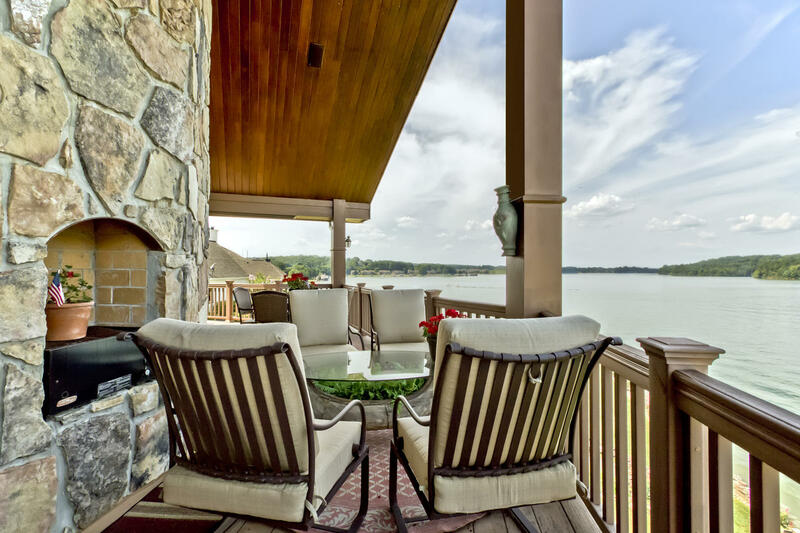 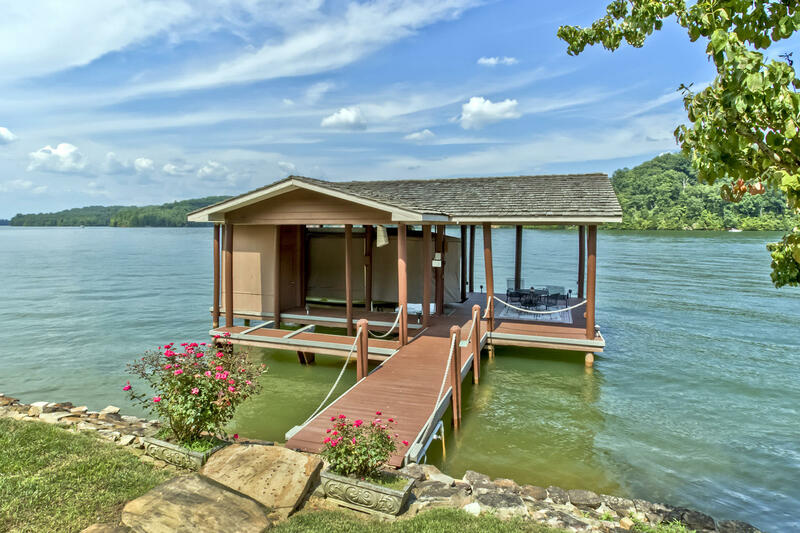 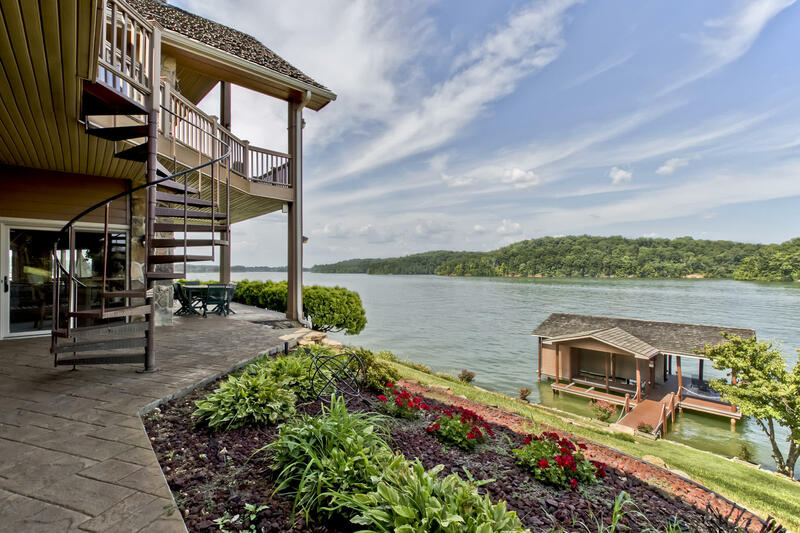 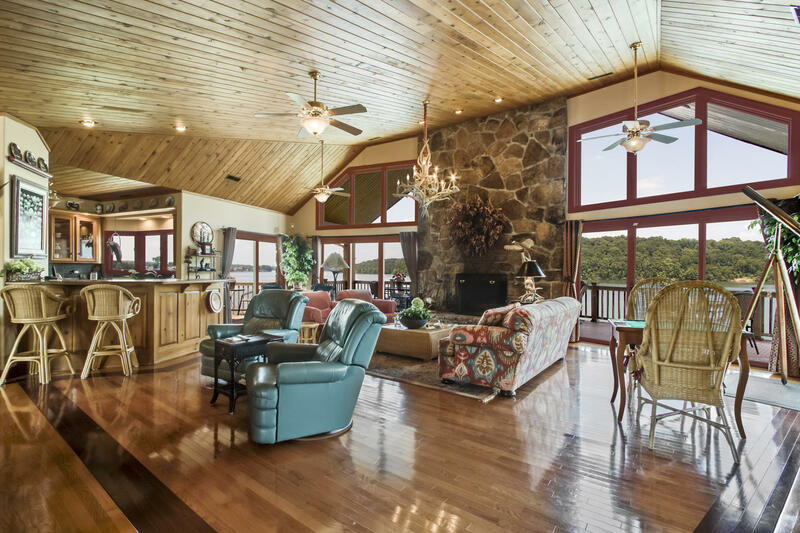 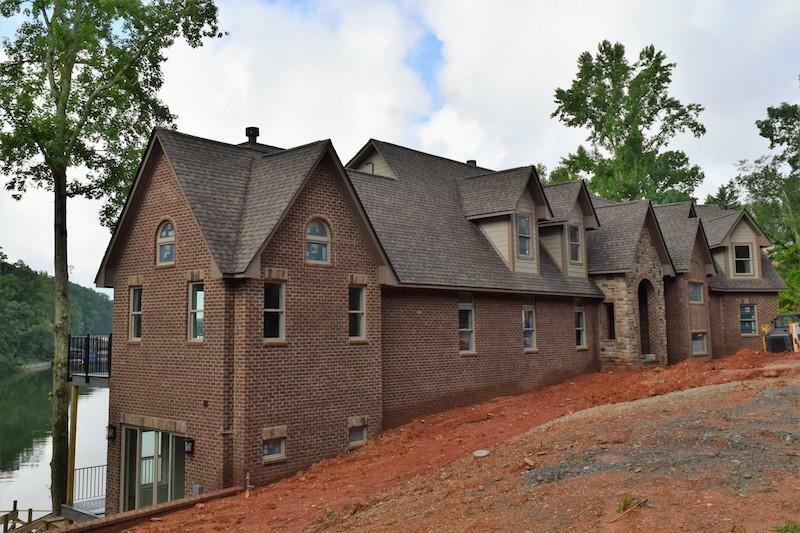 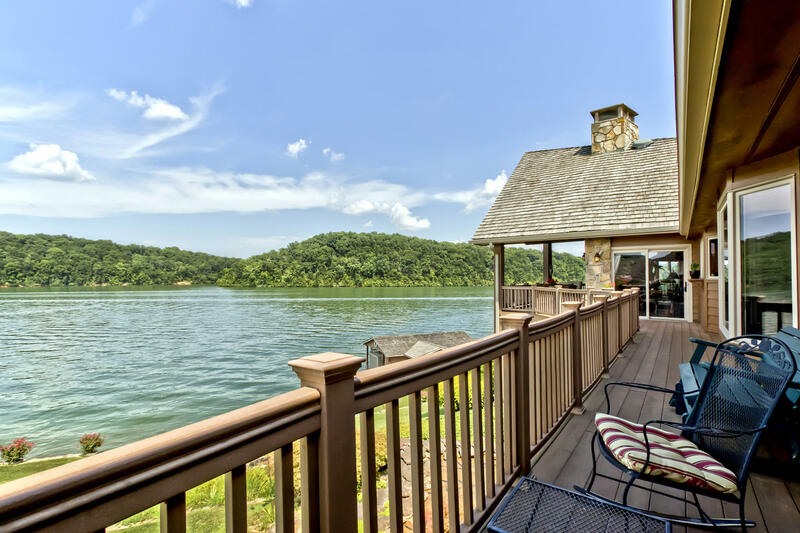 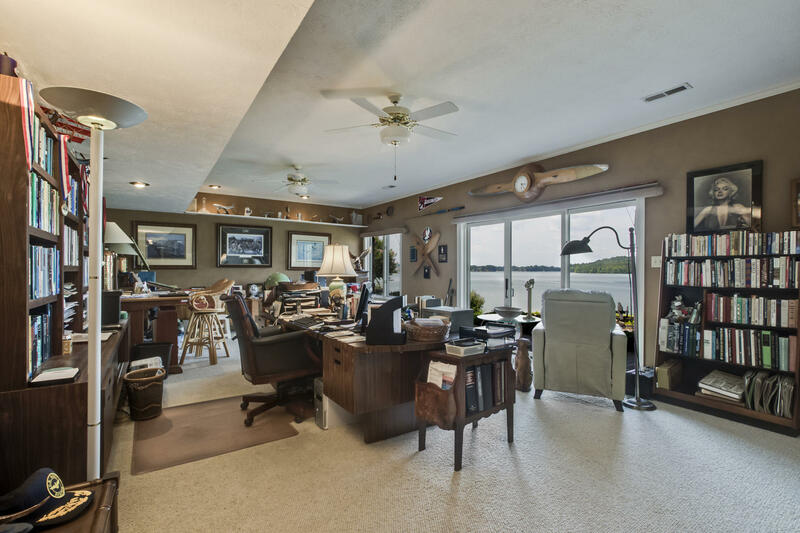 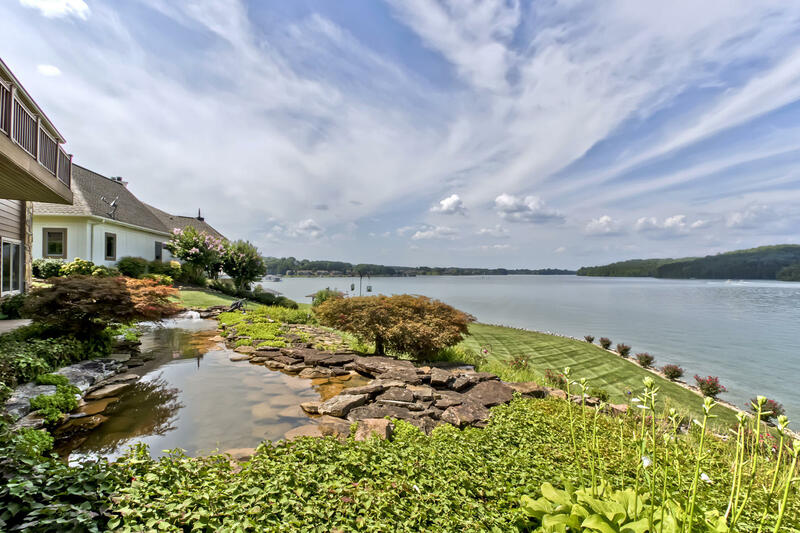 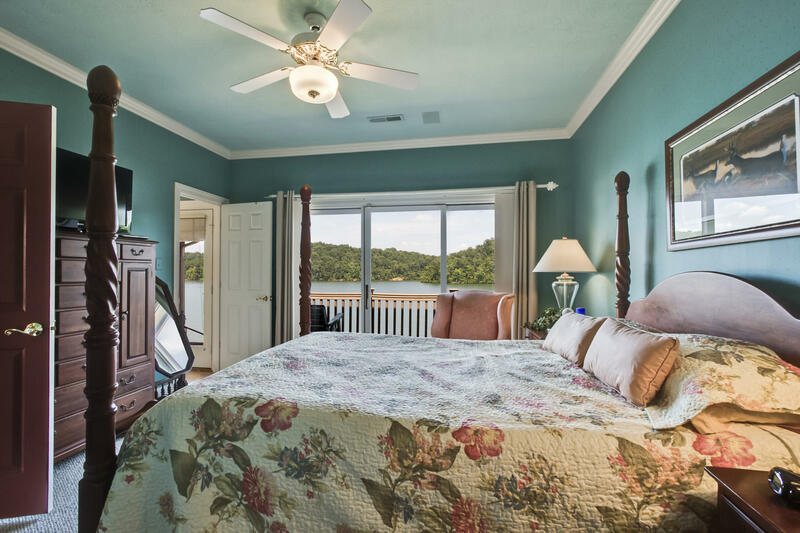 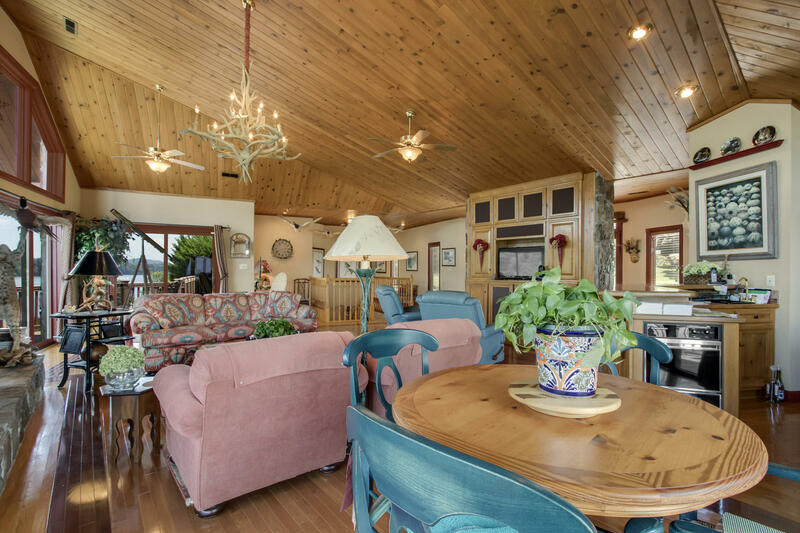 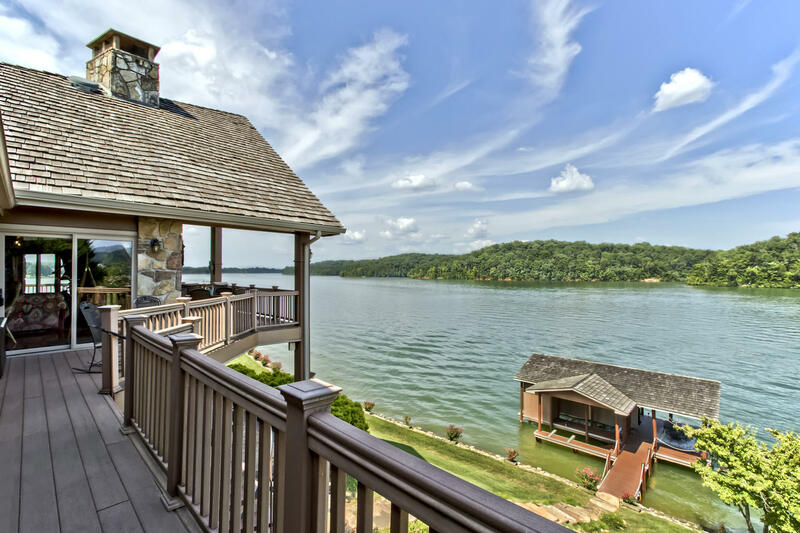 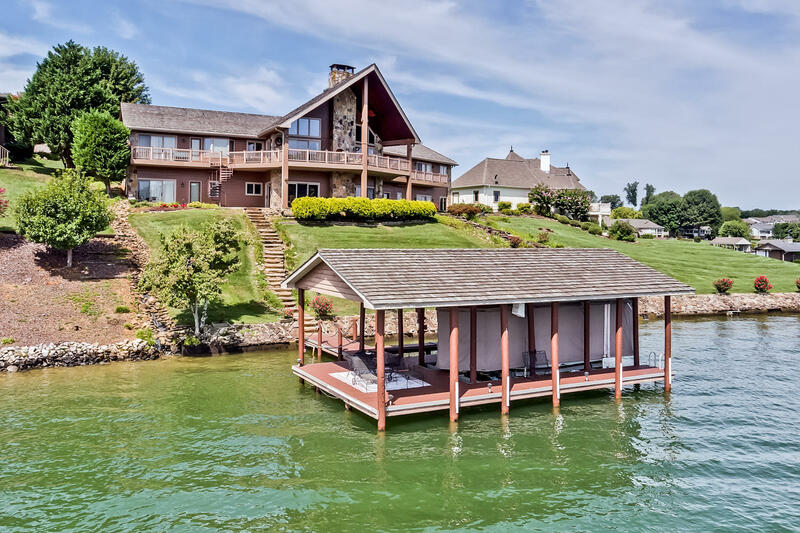 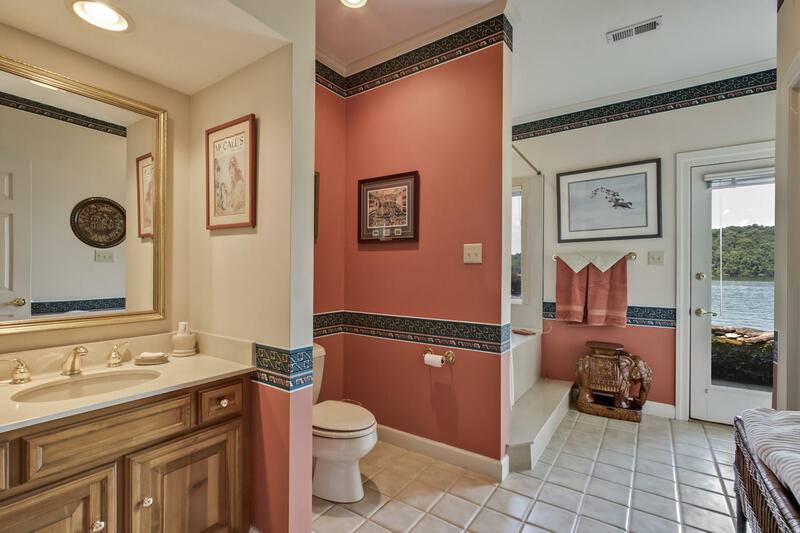 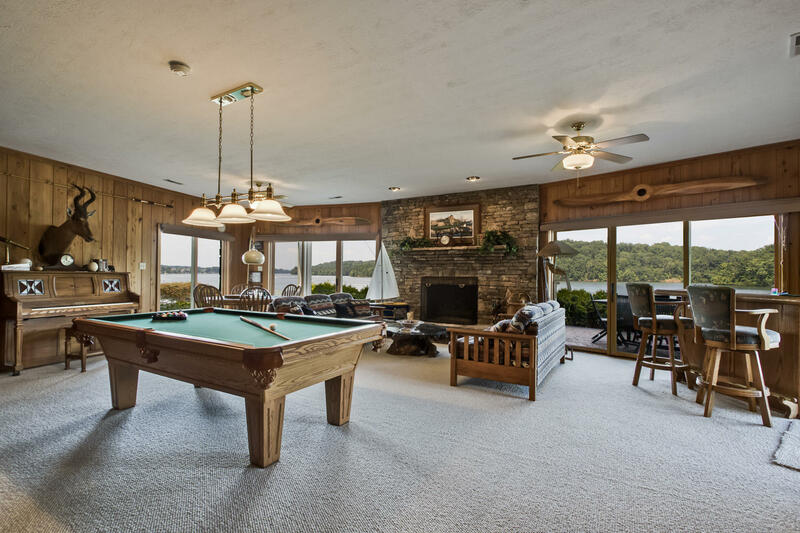 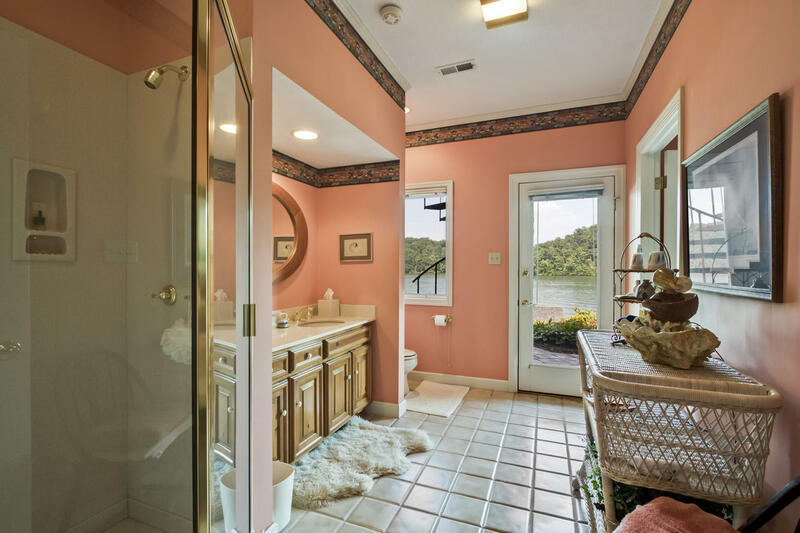 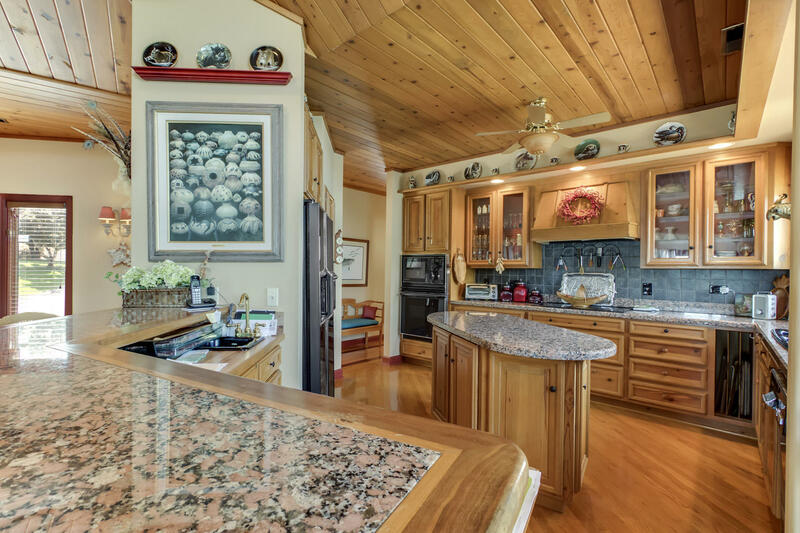 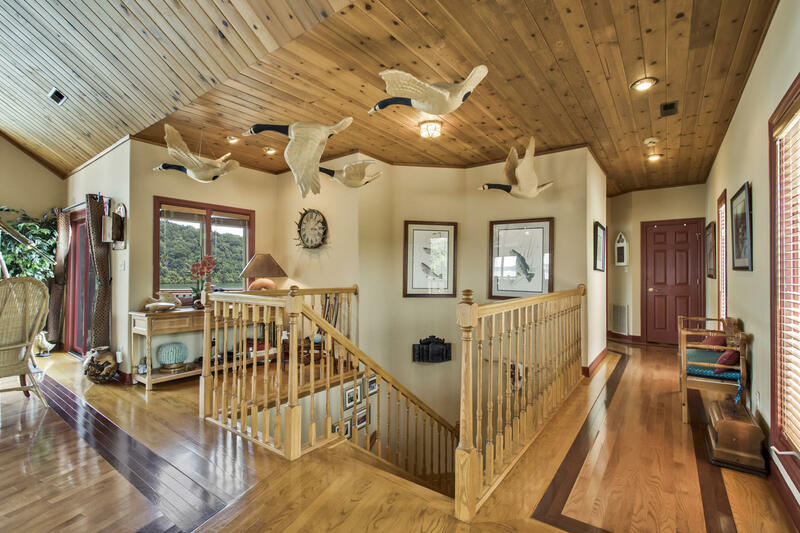 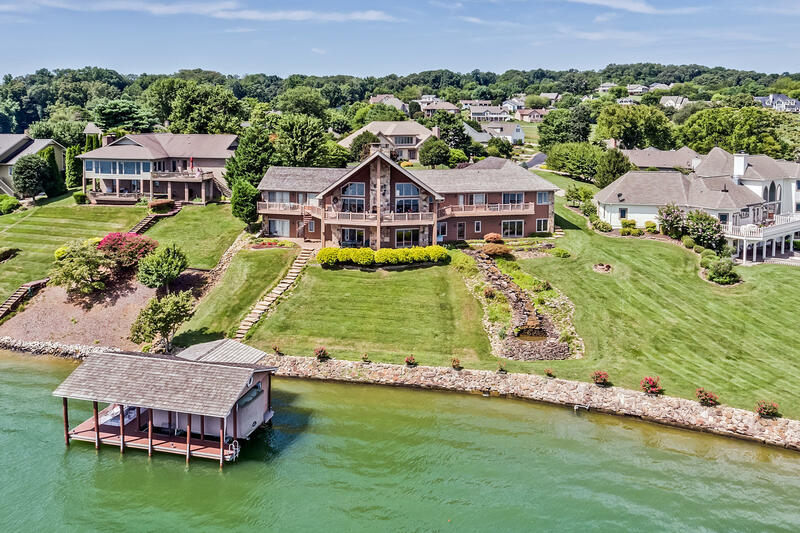 This custom built lakefront and mountain view home is located in tellico village on a. 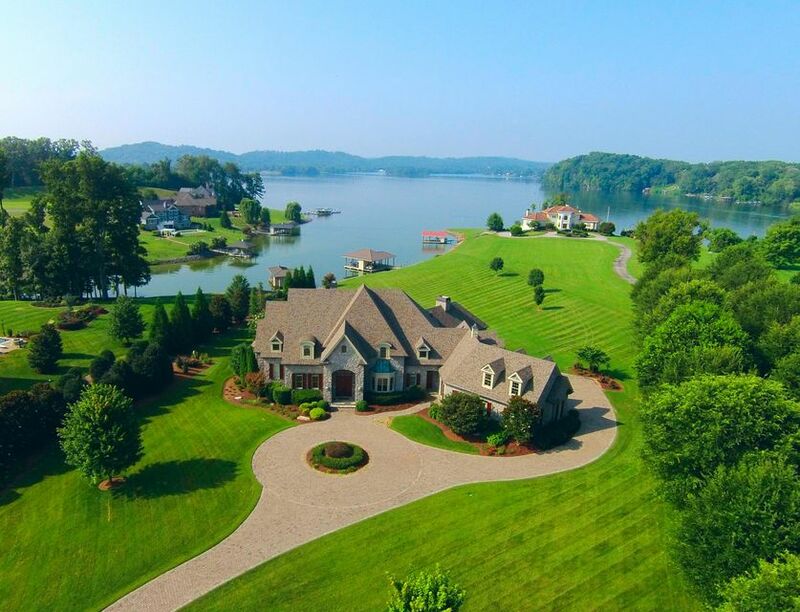 51 acre lot. 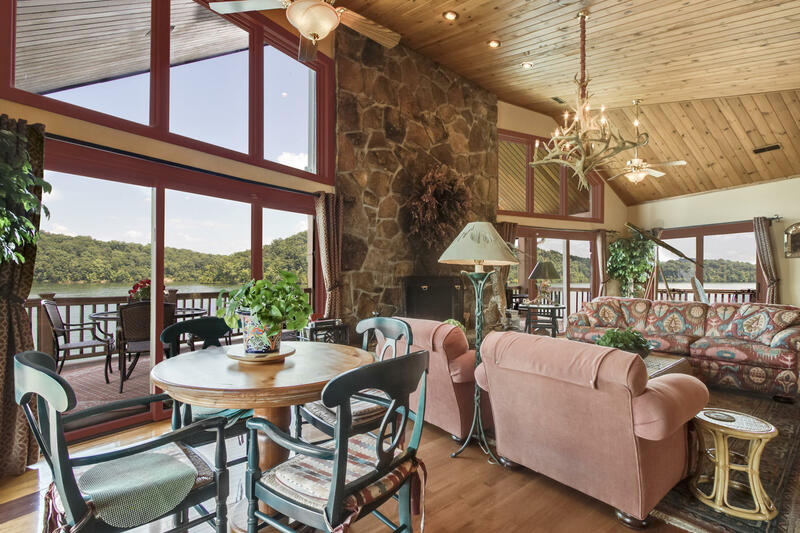 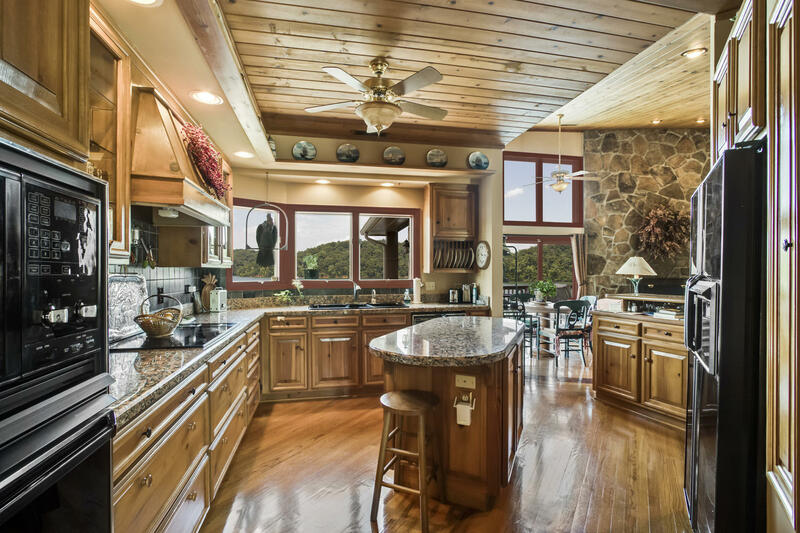 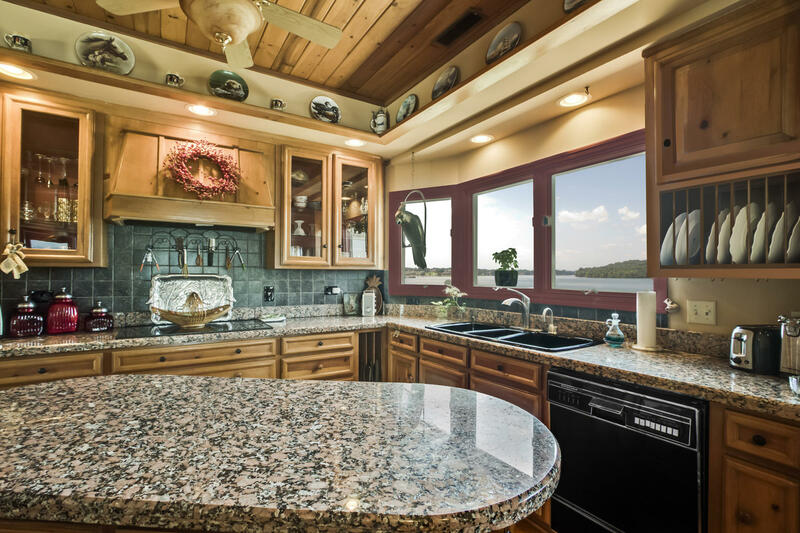 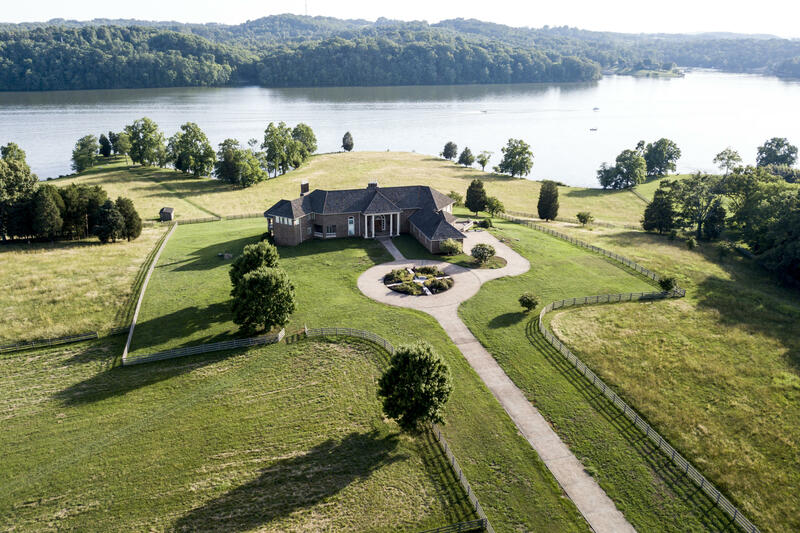 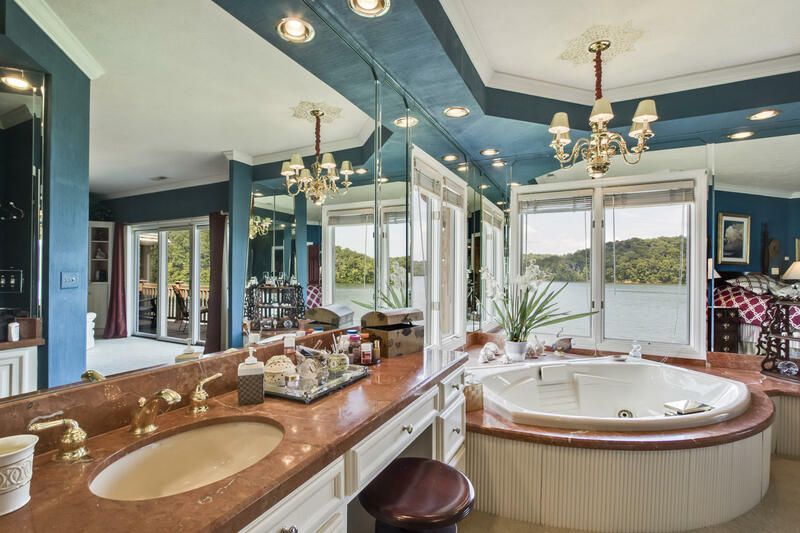 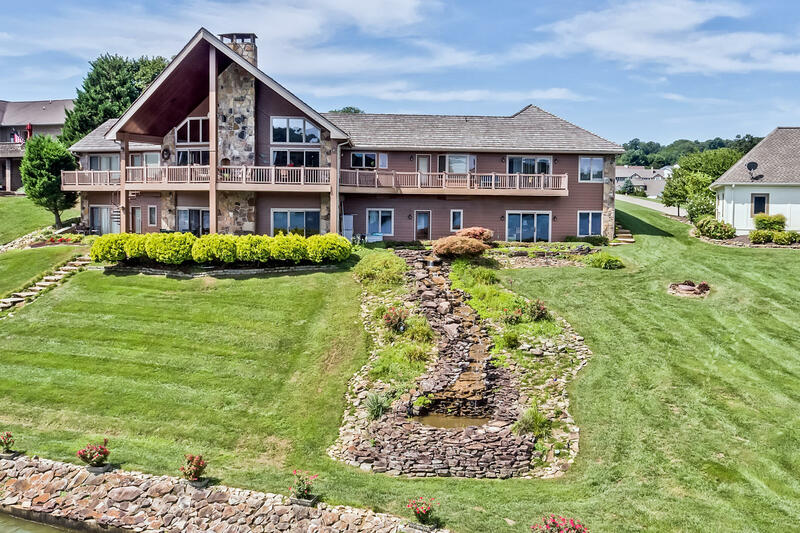 The home was carefully constructed to optimize the fabulous views of tellico lake and the cumberland and smoky mountains. 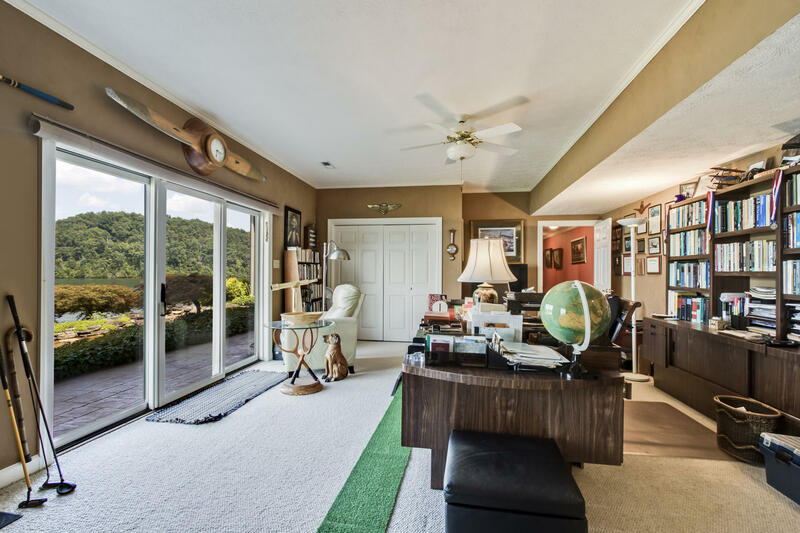 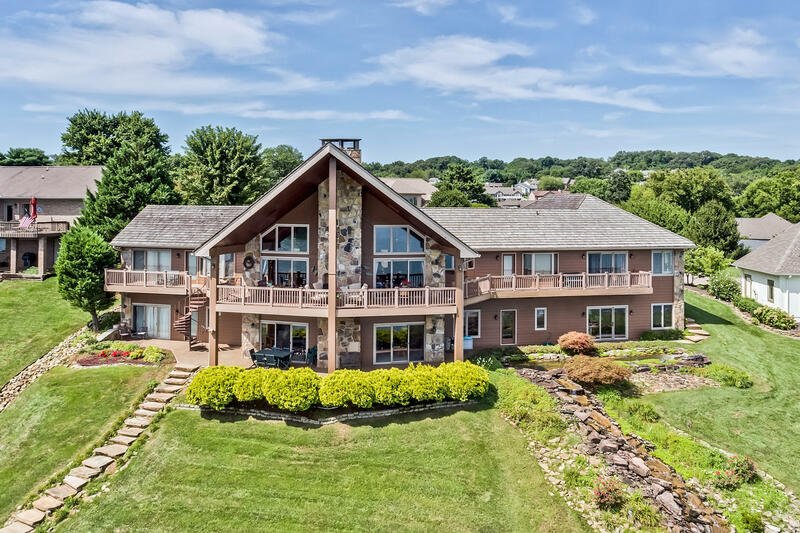 You will enjoy the views from every living area of this home. 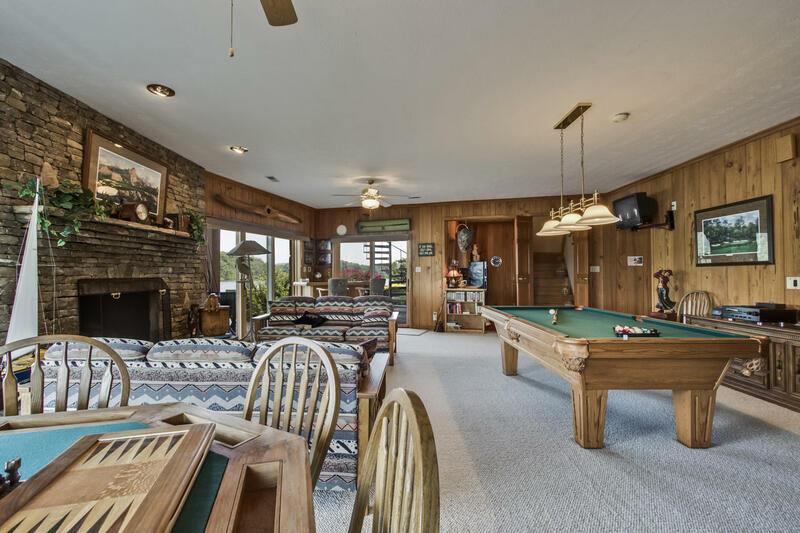 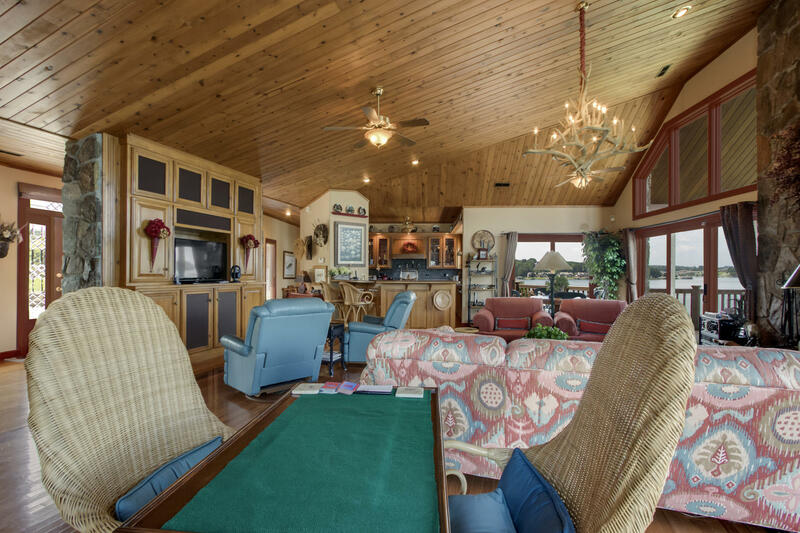 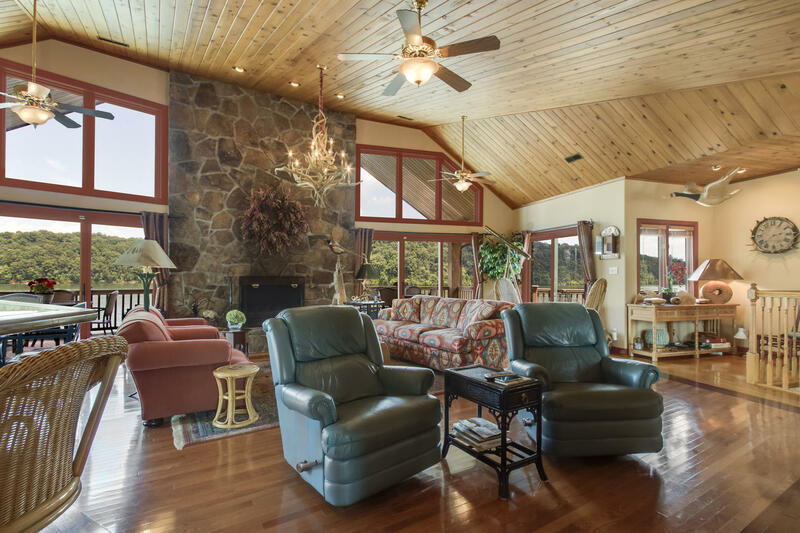 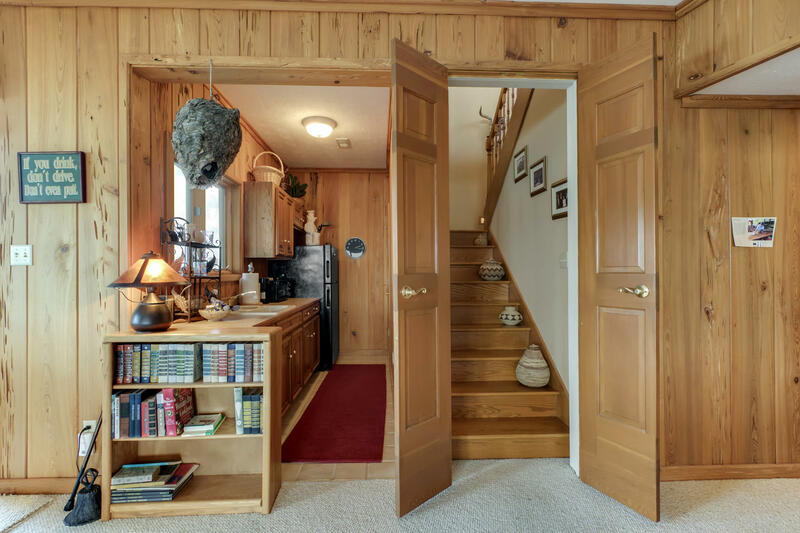 The inviting living room features a yellow pine cathedral ceiling, a floor to ceiling stone gas log fireplace and a built-in entertainment center. 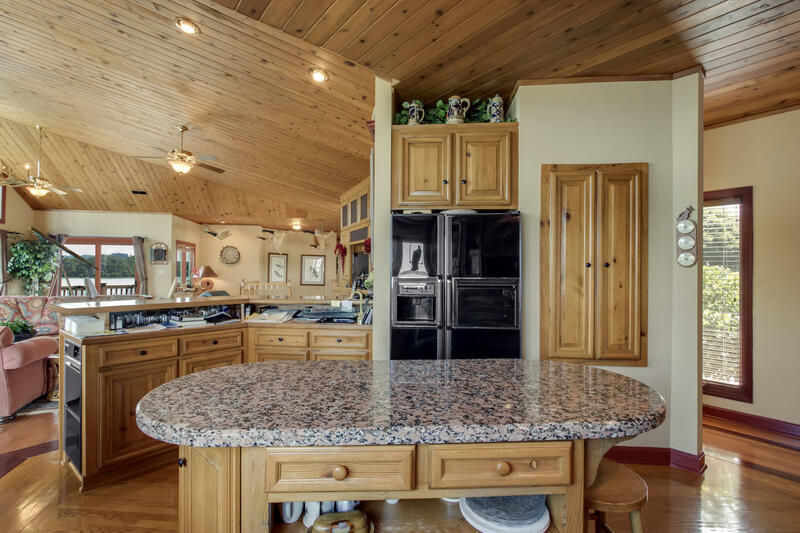 The kitchen offers granite countertops, tile backsplash, custom pine cabinets, pan drawers, a center island, breakfast bar with a wet bar, wall microwave and oven, 4 burner cooktop, refrigerator, dishwasher, ice maker and a pantry. 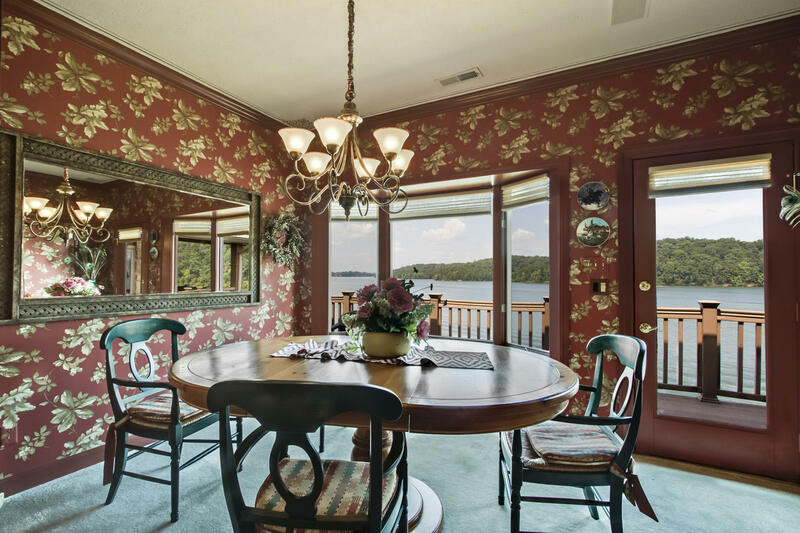 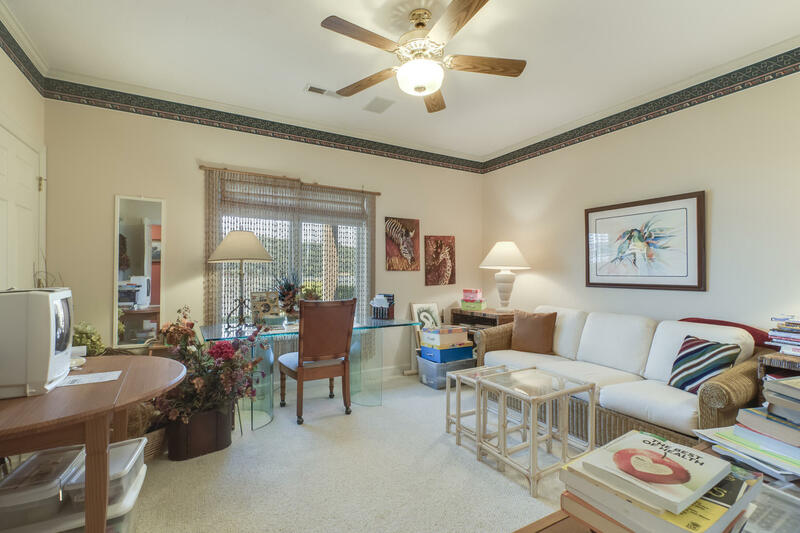 There is an adjoining breakfast room and a formal dining room.